I call this my Heaven hole, because it’s so hard for me to get into. 🙂 I’m working here on the hidden lower level roadbed at the back of the layout. With my bionic knee it’s a struggle to pull myself up through the small access hole. This entry was posted in Layout Construction on September 10, 2016 by Capt.Brigg. 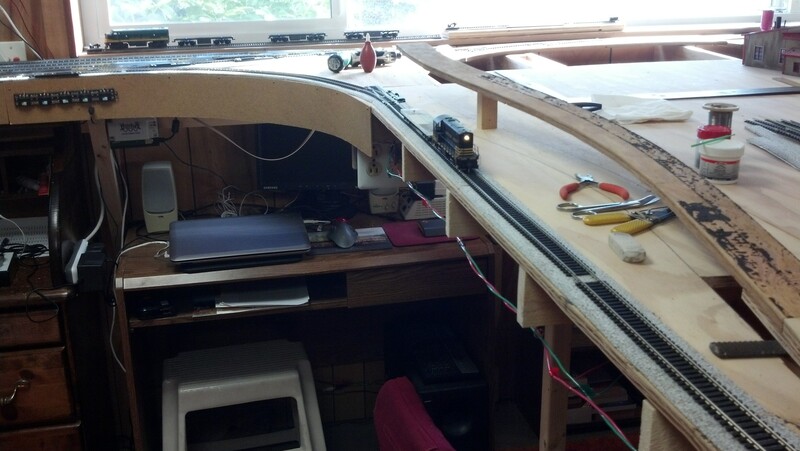 I have now reestablished my Digitrax network, laid the rail and wired in the reversing section of the layout, and built the ramp that will go up to the upper layer. Day by day I’m progressing. This entry was posted in Layout Construction on September 4, 2016 by Capt.Brigg. Work on laying track is progressing. 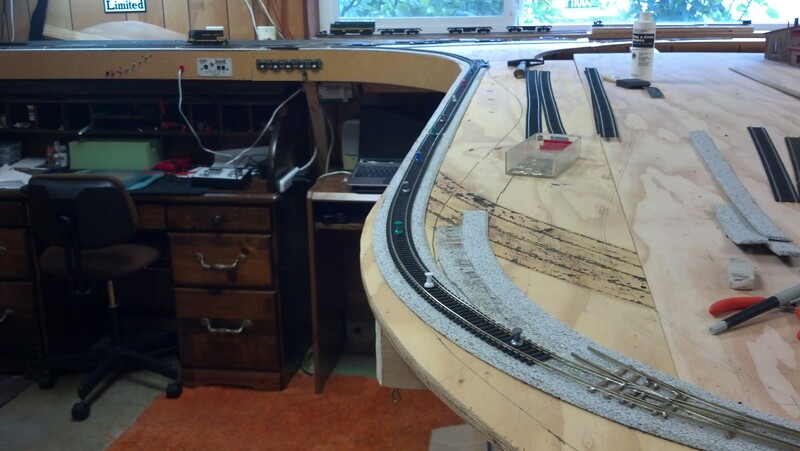 After a few month’s delay to work on other projects I am back at laying rail. Tomorrow I will also be reattaching some of the electrical wiring. 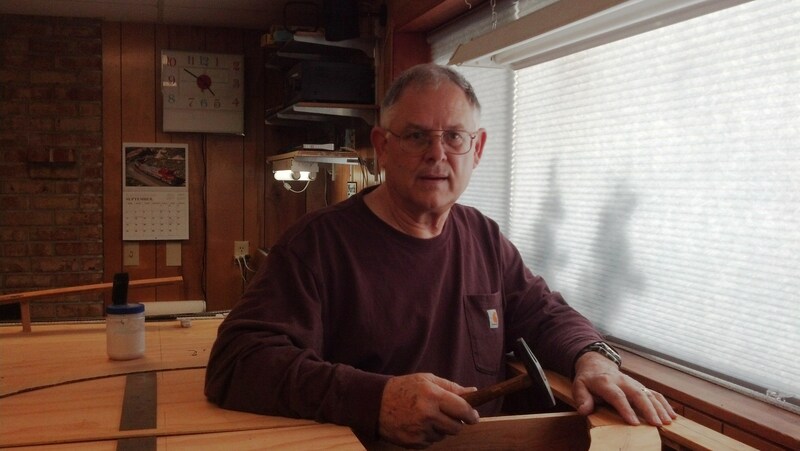 This entry was posted in Layout Construction on September 1, 2016 by Capt.Brigg.